Get S.M.A.R.T. for One Minute is an express set of primers on the subject of trademarks and branding. Read on for useful tips on brand development. The Best Kind of Mark. Your mark should be distinctive—that is, memorable. Make it fanciful (think of Kodak for film), arbitrary (think of Apple for computers), or suggestive (think of Coppertone for suntan products). Fanciful, arbitrary or suggestive marks stand the best chance of identifying and distinguishing your goods or services in the marketplace. Four Kinds of Marks. The first is a trademark. A trademark is a word(s), a name, a symbol or a device that distinguishes the goods of one merchant from those of another. A similar type of mark is a service mark, which is capable of distinguishing services rather than goods. The third type of mark is a certification mark (such as the Good Housekeeping Seal of Approval), which indicates that a party’s goods or services meet certain standards. The fourth mark is known as a collective mark and signifies membership in an organization, such as the designation CPA for a member of the Society of Certified Public Accountants. Trade Names. A business name is just as capable of serving as a trademark—that is, identifying the goods or services with which it is associated—as any other word or design element. Consider Coca-Cola or McDonald’s, for instance. When choosing a business or trade name, therefore, give some thought to its potential to serve as a unique source identifier for your goods or services. The Advantages of a Federally Registered Mark. There are many reasons to apply for federal registration of a trademark or service mark. Most businesses will do so to obtain the advantage of using the “R” in a circle, which designates that the mark is protected and should not be used without permission of the owner. Only federally registered marks can be accompanied by the “R” in a circle. A federal mark may also be entitled to nationwide superior rights against others who may be using the mark in a localized area. The Registers. There are two types of registers for federal registration: the Principal Register and the Supplemental Register. A registration on either register entitles you to use the “R” in a circle next to your mark. Principal registrations, however, are stronger than supplemental registrations because principal marks can be recorded with US Customs to thwart counterfeiters and can be declared incontestable after five years of use, among other benefits. The Supplemental Register is best suited for marks that are merely descriptive and not yet distinctive in the marketplace. Proper Trademark Usage. A trademark is an adjective, not a noun or a verb. Many once famous marks have now fallen into common usage—in other words, they’ve become generic–because of their use as nouns, such as aspirin, cellophane, escalator and thermos. Use a noun following your mark to keep it from becoming generic. Think of Kleenex tissues, Xerox copiers or Band-Aid bandages. International Protection for Trademarks. In addition to simply applying for registration of your mark in each country of interest, you can register a trademark in the European Union by having an international agent file a CTM (or Community Trademark) application. If it matures to registration, it will cover all member states of the EU. Another option is to file a Madrid Protocol application, which allows for filing of a single application that can cover more than 70 countries if it matures into what’s known as an International Registration. Clearance Procedure for Marks. Before using a mark or applying for one, conduct a search for other parties who may be using or applying for the same mark. A search typically includes local business directories, internet references, and the state and federal databases of pending and registered marks. Commercial services are available to provide these reports to you. Protection Against Counterfeiting. If you’ve registered your mark on the Principal Register at the PTO and face the risk of importation of goods that may infringe your mark, then consider recording your mark with U.S. Customs & Border Protection. The recordation database is available at all ports of entry and contains information on marks (including images) that can assist CBP officers in monitoring imports. Official Action. An office action, also referred to as an official action, is a communication from the PTO regarding some procedural or substantive issue regarding a trademark application. The number of actions generally does not exceed two, and if the applicant fails to respond in a timely manner as outlined in the action, then the application is subject to abandonment. Stay up-to-date with trademark issues by bookmarking my Facebook page. 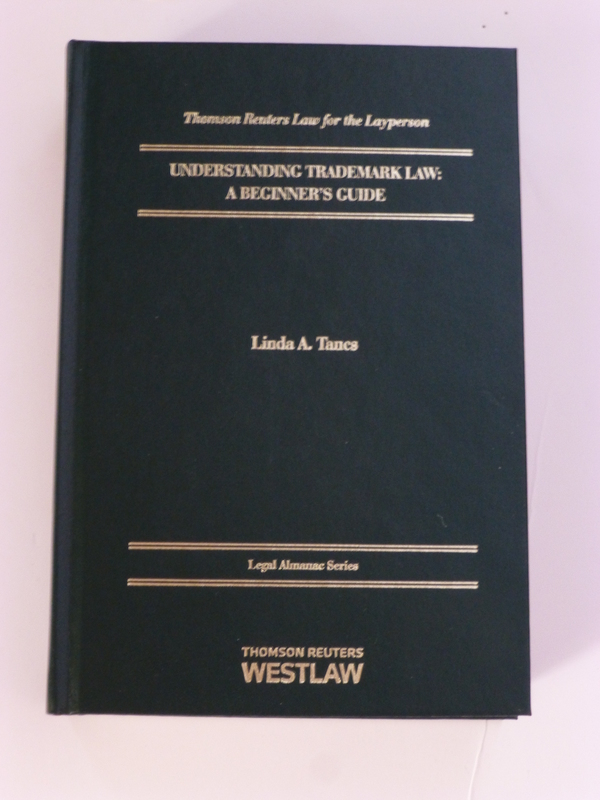 Buy my book about trademarks and the PTO at Amazon.